Over the summer, I helped clean the beach with the organization, Imagination Nature. While considerably unpleasant, it was worth noting the kinds of things people had left on the beach, and for what reason. The places which had the most trash were locations where people had organized a party on the beach the night before. There were a significant number of cigarette butts littering the sand, as well as items of food which had been left behind and forgotten about. I think that the reason people left so much food on the beach is because they assume it will decompose, and it will, eventually, but not fast enough for it to avoid harming the ecosystem. It was slightly alarming to come back the next week and see how much garbage had returned to the same places we had just cleared of plastic bags and orange peels seven days before. This emphasized to me how important it is for beach-atendees to use the easily accessible garbage cans located in the beach parking lot. Last year, one method I used to keep track of my classes was to add them as repeating events to the Calendar app on my iPad. Instead of having to perfectly memorize my schedule, I could, at any time throughout the day, simply swipe down Notification Center and see when my classes were. Notification Center also tells you helpful information, such as how many minutes you have until your next class. It is a challenge for everyone this year to adjust to the new eight day schedule, and it is even more difficult to keep track of when your classes are than last year. Instead of having to memorize five school days worth of classes, you have to memorize eight, and in addition know what number each school day is. This gets even more challenging when you to take into account the holidays on which we do not have school, and how they shift the entire schedule a day later. As soon as I learned about the new schedule, I tried to put it into my Calendar app like I did last year. I quickly ran into some problems. Unlike last year, you cannot simply create calendar events that repeat weekly. Making events that repeat every eight days does not work either because it does not take weekends into account. Even if you could make events that repeat every eight weekdays, holidays would still be a problem. After a lot of research, programming, and refinement, I was finally able to create a working version of the schedule generator. From there, I added some additional features, such as the ability to add locations, add free periods, have a separate schedule for Semester 2, and even automatically fill in all classes of a certain block letter. Here is the link to the current (not yet finished) schedule generator, hosted on Google Drive: https://www.googledrive.com/host/0B2EJ3y8e4rmfdU83dHYyMkhWNmM/. My schedule generator will hopefully be available as a finished product by Semester 2 or by next year. By being able to create and share my schedule generator, I feel connected with the meaning of this quote. It is a wonderful and unique service experience to be able to share a solution that I found with the entire Friends community, and I hope it will help everyone manage the new eight day schedule. This summer I had a blast doing service. I learned all about the prison industrial complex, mass incarceration, and solitary confinement. These are all dense issues that I learnt about with other highschool and college students. 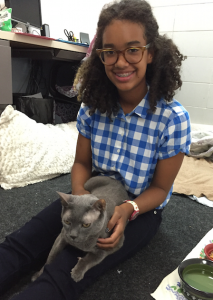 It was a transformative experience because the entire time I didn’t feel like I was doing service. I was learning new things everyday and then putting what I learned into practice. We ended up making a couple of public service announcement videos and documentaries to raise awareness about the issues. The work I did with AFSC allowed for me to get engrossed in the issues and to learn as much as I could while simultaneously putting the knowledge to action. I got to meet so many different people all working for and learning about the same issue. It was one of the best experiences of my life. I would encourage anyone to definetly learn more by going to afsc.org. 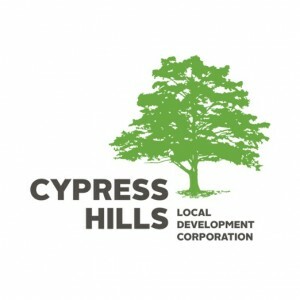 This summer I volunteered at the Cypress Hills Local Development Corporation. It is a wonderful center that helps people overcome their housing problems. 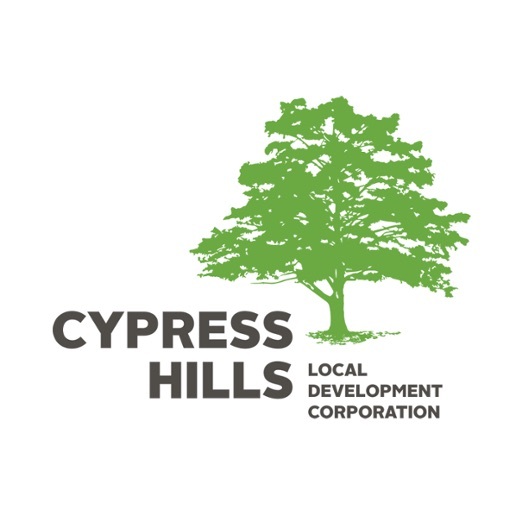 I have heard the stories of people that are struggling to maintain their housing finances, and have received helped from the advisors at Cypress. However, there was a lot of work to be done without a sufficient amount of people to finish the tasks. I volunteered with my sister. We helped organize files, take phone calls, and log information on a computer. The work environment itself was very friendly and welcoming. I am glad to be apart of something that helps the community and will continue to volunteer throughout high school. Over the summer, I volunteered at the East Hampton Library children’s book fair. The East Hampton library is home to a wide selection of books available to all members of the community, and is also a place that facilities children’s learning and reading skills. The children’s book fair is a wonderful initiative organized by the library. The fair includes rides and games, a book fair, children’s book author signings, a raffle with great prizes, and arts and crafts, as well as musical performances and entertainments. At the fair, I helped kids with arts and crafts, decorating bags, hats, boxes and masks. I also worked behind various game booths where kids were able to play and win prizes. Participating in this service opportunity was a very rewarding experience. The amount of people that showed up to support their local library was astounding, and very wonderful to see. People and families from all over the area came together in this community event. Lots of children were running around, smiling, eating, and having fun. Kids laughed when they won games and exclaimed when they got to the top of the rock wall. I am so glad I volunteered with the East Hampton Library, because I was able to participate in helping out with such a special and important cause. At the Lee Strasberg Theatre and Film Institute this summer, I helped teach 11 kids the basics of Lee Strasberg’s method acting and general theatre skills. I was with the children all day and was a Teacher’s Assistant to the teachers who gave up their summer to teach at the Institute, despite being free of the usual NYU and Conservatory program students that they teach year-round. This year is the last year possible for me to go to Strasberg, where I’ve been going for 11 years now. I’ve watched many a student rehearse for college auditions, read scenes better than I’d ever seen, and generally been inspired by so many of those people who were older than me and are now off doing great things for the American theatre. It was not only adorable, but incredibly nostalgic and also quite amazing to see these kids exactly where I started off at LSTFI: I was only 7 years old and taking the exact same classes they were taking in the same two week extension. Although many people don’t agree with Lee Strasberg’s methods and I wouldn’t dare to argue that they are far superior to any others, the one thing I know for sure is that the people teaching at the Lee Strasberg Theatre and Film Institute have the power to inspire and keep that inspiration flowing inside of a person. Before I go off to college myself, I’m so grateful that I got the opportunity to be one of those people this year.